Nice, airy Gothenburg apartment for sale. 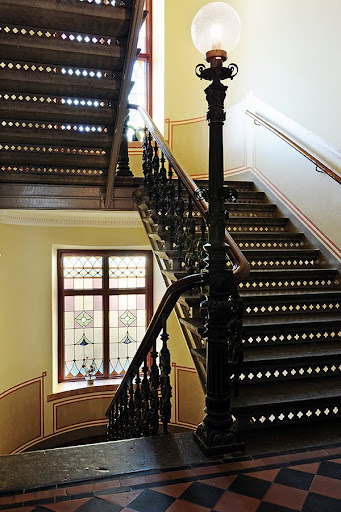 I think the staircase is just beautiful. Photos via Alvhem. Synd inte man skall flytta till Göteborg. 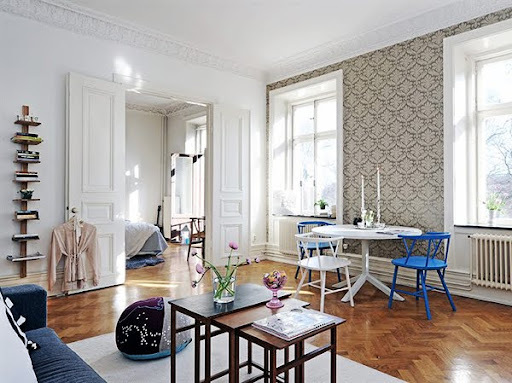 Beautiful apartment - I love the mix of the high ceilings and all that white and light, mixed with the wallpaper and the pops of blue - it's all so eye catching. such a beautiful, aged and simple space. Åh vad jag gillar detta....inbjudande och hemtrevligt! 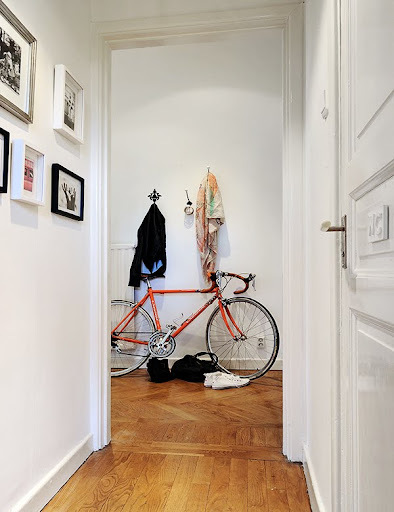 forget the apartment, i want the bike. A beautiful staircase indeed. And so is also that spot on the small balconcy. I can feel Spring in the air! P.s Om du har tid kom och saeg hej till en tjej som jag aat lunch med tidigare i veckan. Vi pratade bl a om dig och din goda smak! Oenskar saa att vi bodde i samma stad. Men naer du haelsar paa haer i Seattle saa sticker vi till Vancouver och haelsar paa henne! 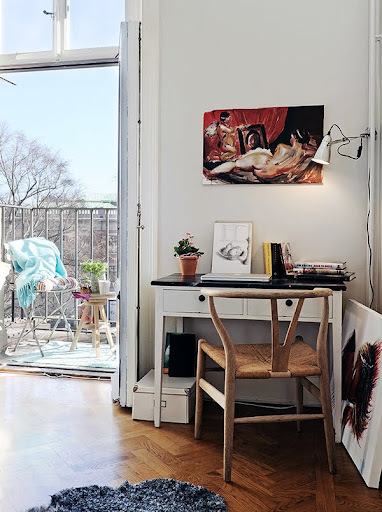 What a phantastic apartment, I want to move right away! 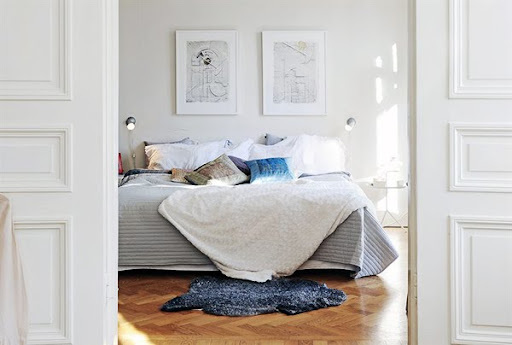 This apartment has a really calm and yet chic mood! The floors are beautiful, too! Such a lovely bright airy homely apartment! 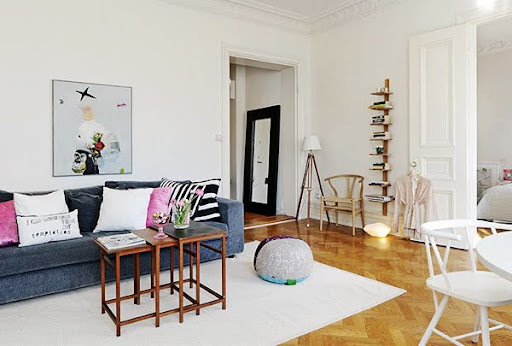 Love the high ceilings, floors, gorgeous architectural details and the sweet decor! Gorgeous place. 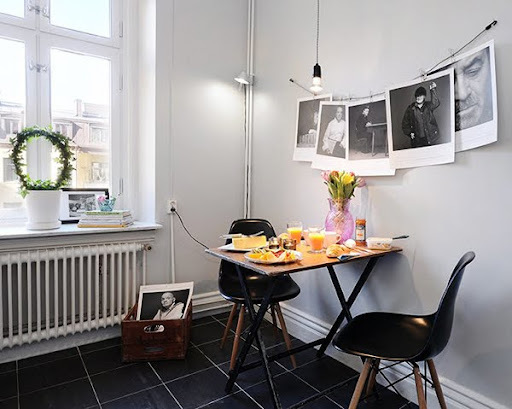 Loving the bones of this apartment and all the 'typically Swedish' features. And OMG that stair case..! What a fabulous first impression!